Syria, home to the longest inhabited capital city and one of the most diversely populated countries in the region, has been caught up in a civil war that has been raging on for seven years. In that time, 5.6 million have fled the country and more than six million are internally displaced. The war has been increasingly complicated by a mix of alliances, the destruction of the country’s infrastructure, trotted down political relations and has made the hope for peace fade rapidly. To add to the situation, Syria has also seen the widespread use of explosives and chemical weapons against civilians. The CBRNe defense and response capabilities of civilian first responders inside Syria were practically non-existent before the war began, and not much has changed. When the war began in 2011 there was no such response mechanisms for CBRNe threats in Syria. Although barrel bombs were being used against civilians almost since the outset of the conflict, it was not until the first chemical weapons attack of the civil war occurred in 2013 in Aleppo that the first response mechanisms were implemented. Decontamination facilities at hospitals were developed to isolate victims of chemical attacks to protect others from secondary contamination, but the resources were limited. There was no personal protective equipment (PPE) and there were no decontamination solutions. The decontamination of victims was restricted to the use of water and limited isolated space. Response mechanisms for CBRNe threats were minimal for numerous reasons. Firstly, the civil war in Syria has been devastating to the population, meaning packed hospitals, limited personnel, and the inability to focus on CRBNe threats outside of explosives. Secondly, the Obama administration drew the famous “red line” on the use of chemical weapons. With the United States, apparently on the side of the civilians of Syria, coupled with limited resources, many Syrians felt reassured. They did not believe that the Syrian government would dare to cross the United States, which left response mechanisms to CBRNe threats off the priority list. However, after chemical weapons attacks began and the United States did not follow through on its “red line”, the CBRN Task Force within the Union of Medical Care and Relief Organizations in Syria began advocating for the acquisition of PPE and medical countermeasures. After the use of chemical weapons in Ghouta in August of 2013, one would think that CBRNe defense and response mechanisms would become a priority. 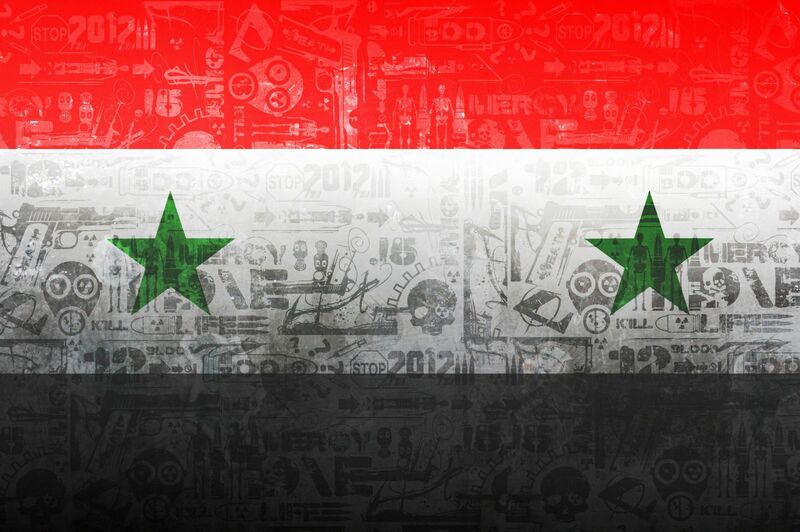 But, after the Organisation for the Prohibition of Chemical Weapons (OPCW) struck a deal to add Syria to the Chemical Weapons Convention (CWC) and rid Syria of its chemical weapons, access to equipment from foreign Ministries of Defense ceased and the priority level of CBRNe protection decreased once again. Although the OPCW agreement rid Syria of all its declared chemical weapons by 4 January 2016, the agreement did not include chlorine, for numerous reasons. For example, chlorine is used in common household items, making it very difficult to ban. The use of chlorine caused a rise in the demand for CBRNe response equipment on the priority list. Even as the conflict worsened, the terrorism threat grew and the political situation completely deteriorated, CBRNe defense never quite rose to a top priority there onwards. From 2013-2016, CBRNe rose and fell numerous times as a focal point for the different factions within Syria, but the response mechanisms never drastically changed, and currently the mechanisms to respond to a CBRNe threat are still very primitive. The operational units within Syria consist of the administration of hospitals and clinics, medical staff, the CBRNe Task Force including Médecins Sans Frontières, and The Syrian Civil Defense, also known as the White Helmets. Hospitals and clinics within Syria are responsible for working with limited resources in a difficult political and security environment, establishing their own decontamination points, operating their own ambulances and preventing secondary contamination while saving as many lives as possible. The staff within hospitals in Syria change frequently either due to the individuals being moved because they are needed in a different location, fleeing the country, or dying. This causes an already unstable, and at times unproductive, solution to the problem become even more difficult. The CBRNe Task Force was created in 2013 as a platform to coordinate all efforts related to CBRNe defense and response within Syria. This includes helping to develop response mechanisms, coordinate response efforts, train first-responders, and acquire equipment. The CBRN Task Force is currently still working to enhance CBRN response capabilities within Syria, but with a lack of political will and limited resources, their work has been undermined. The White Helmets, known for their heroism and their presence at the forefront of the response to CBRNe threats, have taken on the job of evacuating buildings, rescuing stranded individuals and transporting victims of attacks to receive medical care. The White Helmets have trained with the CBRNe Task Force, but have only limited medical training, essential to responding to a chemical weapons attack. The operational units within Syria began training on the medical side of CRBNe defense and response in 2013. However, they only began training as the threat became a reality rather than in preparation for an attack. Just as with response mechanisms and the operational units themselves, Syria’s training was reactionary, rather than preparatory. The trainings only began after Syrians experienced their first attacks, not before. Furthermore, trainings continued for only two years due to the consistent availability of medical staff and the declining security situation, especially in the South of the country. Even as the trainings were taking place, they were often done online for those in the South as it was not as permissible as the situation in the North, so the response units in the South missed much of the practical aspect of CBRNe response training. Those that did receive trainings were specifically trained on crowd control, establishing decontamination facilities at hospitals and key aspects of decontamination for both people as well as equipment. Syria currently has very basic equipment when it comes to CBRNe defense and response. In terms of PPE, Syria is only equipped with level C and level D CBRN protective suits. Level C protects from secondary contamination, meaning one victim to a new victim and consists simply of skin protection. Air filters are also in the level C category of PPE. Therefore, this equipment cannot help victims that have already been affected by a chemical weapons attack. Level D protective equipment is even more basic, consisting of simple scrubs as would be worn by the average doctor. Another aspect of CBRNe equipment is medical countermeasures (MCM). Syria currently has the most primitive countermeasures at their disposal – oxygen, cortisone steroids and supportive medication. MCM pose one of the greatest issues for Syria regarding CBRNe threat preparedness because of the difficulties with stockpile management. Stockpile management can be one of the most difficult aspects of CBRNe threat preparedness. Establishing the balance between maintaining an adequate stockpile to respond to an attack that could possibly harm thousands, and not enough to waste resources, is one of the hardest tasks for those in charge of CBRNe preparedness. Apart from PPE and countermeasures, access to ambulances and hospitals even poses a problem when we are discussing chemical weapons. If the ambulance is not properly protected against contamination and there is not an isolated decontamination facility at the hospital, then the act of helping victims of a chemical weapons attack puts many others at risk. Syria has been battling itself for almost a decade now. The country’s infrastructure and people have suffered gravely from explosives and the use of chemical weapons. Although there have been efforts to defend against and respond to CBRNe threats within Syria, the lack of political will and limited resources have presented the region with a unique security situation and not many options moving forward. For the CBRNe threat to be diminished and eventually non-existent (as is the hope) there needs to be a focus on the declaration and elimination of chemical weapons, the acquisition of level A and B PPE and proper stockpile management of MCM. To stop such a large loss of lives as we have seen and bring about a chance for peace, CBRNe defense and response needs to be given priority in Syria.